Nowadays, more and more people are realizing the importance of a stand-by generator as a back up source of power in the event of a power outage. West Orange, NJ has experienced power outages that were caused by severe weather conditions. 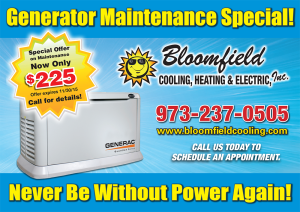 You can rely on Bloomfield Cooling and Heating, Inc. to be your number one resource with 30 years of experience and up to date knowledge and resources for all of your stand-by generator needs. Our licensed technicians are able to diagnose and repair your stand-by generator quickly and efficiently. 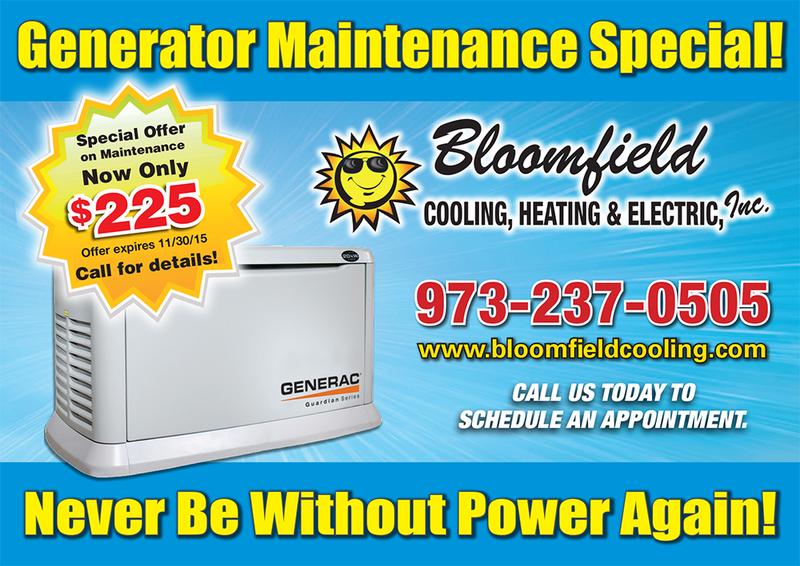 If you are looking to invest in a new stand-by generator Bloomfield Cooling and Heating is your local resource to go to. We offer a one stop shopping experience. We will visit your home and assess your needs and provide you with a free, no obligation estimate that will be personally suited to your needs. We will provide the installation, make sure that your stand-by generator is operating properly and that you are confident to operate it independently. We will also provide a maintenance program that suits your budget to provide you the maximum life of your stand-by generator. If you qualify, we can also provide you with a 12 month financial plan. Call your neighbor at Bloomfield Cooling and Heating to learn how to live a more stress-free life style. Buying a generator is an investment in your home and in your quality of life. A name brand stand-by generator can sell itself. The service behind the product is what distinguishes Bloomfield Cooling and Heating, Inc. in the West Orange, NJ region as being the best. Our “Generator Club Membership” includes two scheduled maintenance visits. The extensive package provides a comprehensive overview of your stand-by generator. 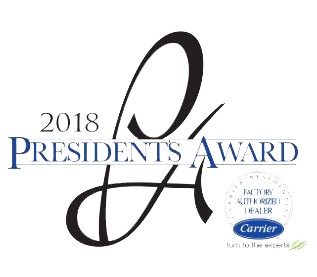 Having these scheduled appointments will help assure that your stand-by generator will be ready when you need it and ensure quality service throughout its life span.